And you all know how much I love nail polishes, right? 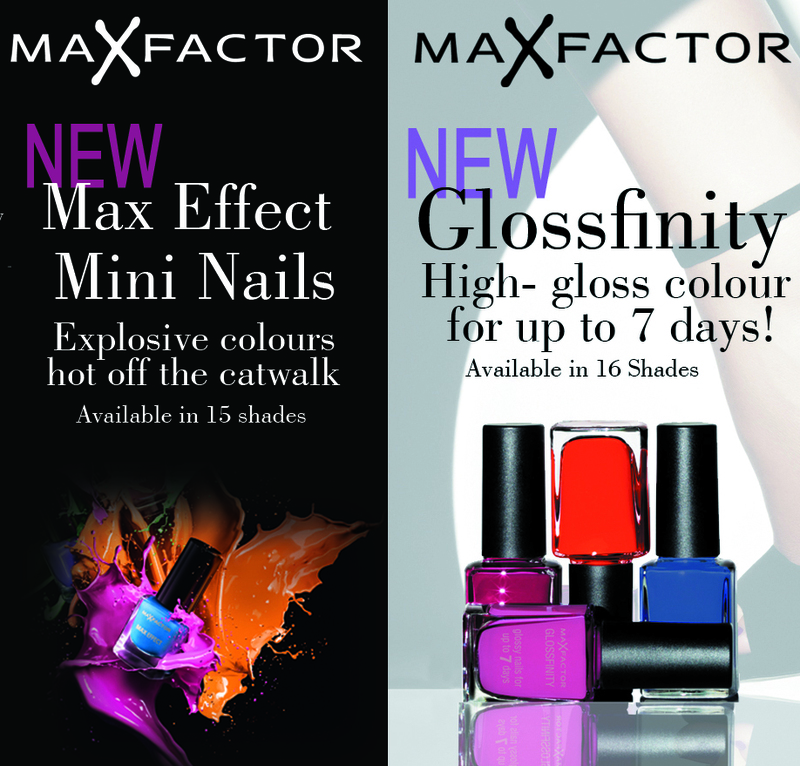 Let me tell you about the latest additions to Max Factor's nail polish collections. 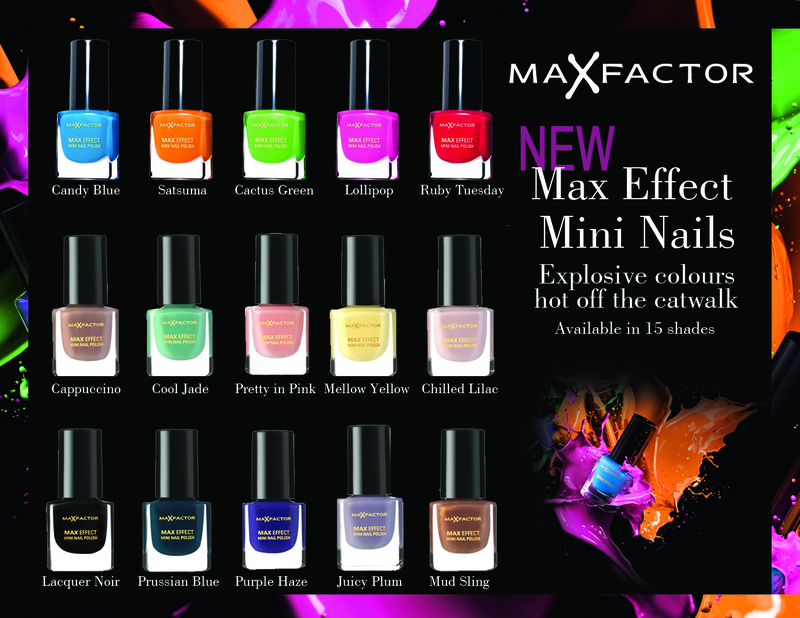 Max Factor relaunched their Max Effect Mini Nails by introducing 15 new fun and vibrant shades. See the bright ones there? Oh, and there are some pastels too, if you're into toned-down shades. If you like dark ones, they have those as well. Your nails will definitely look trendy with these straight-from-the-runway shades! These shades are formulated to be long-wearing and chip-resistant (which is awesome if you don't change your nail color very often). Priced at 175 PHP per bottle. (Not sure how much product is in one, though. Can't find the volume on the label.). 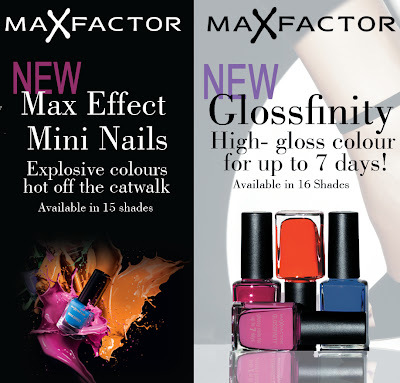 Max Factor also released 16 new glossy nail polish shades. I see classic neutrals and reds, even a couple of dark, vampy shades. There's a top coat, too. These shades are bound to make the nails look elegant and chic, perfect for a more mature or professional crowd. 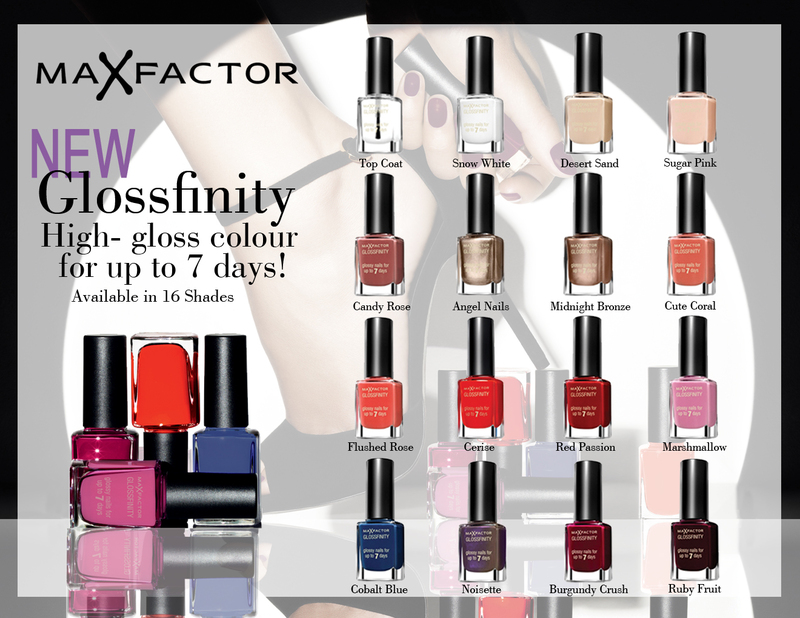 These are formulated to be long-wearing and to remain glossy even after 7 days, hence the name 'Glossfinity.' Priced at 245 PHP per 11-mL bottle. 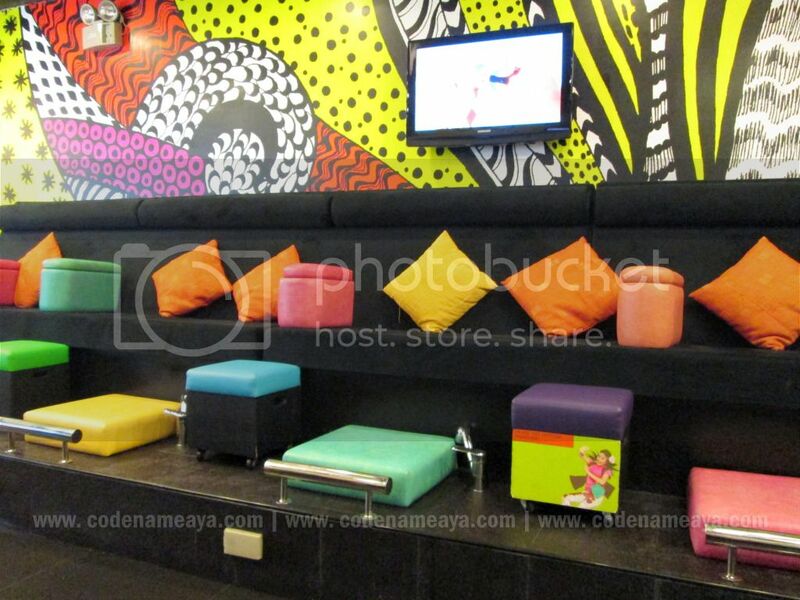 The launch was held at Beauty & Butter (SM Megamall branch) which I promised myself I was gonna visit again because I loved the colorful interior! 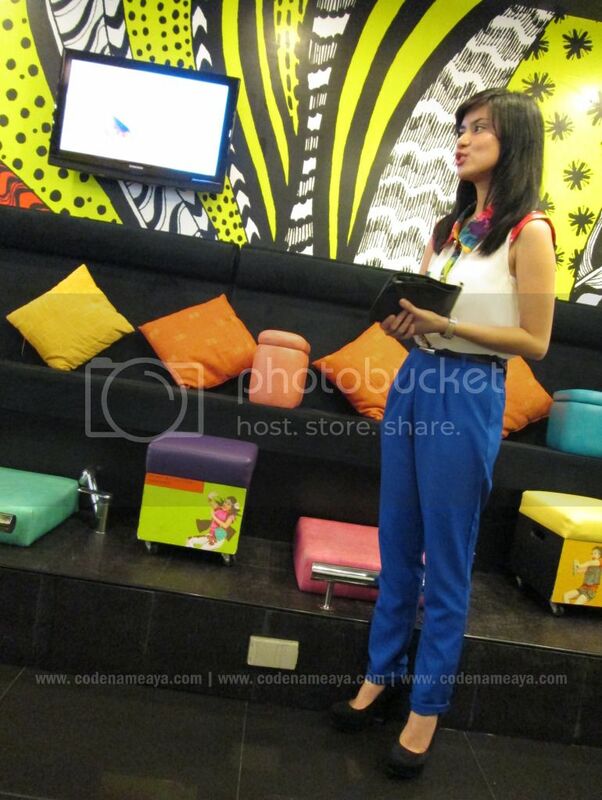 PH national make-up artist, telling us about the new nail polishes. ...and she chose these. Shades Lollipop and Cool Jade. 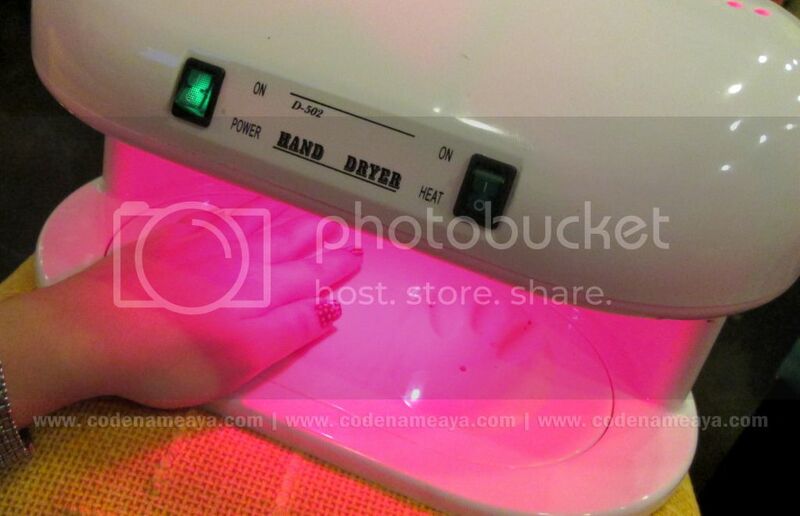 I didn't have to wait a long time for my nails to dry because B&B has nail dryers too! 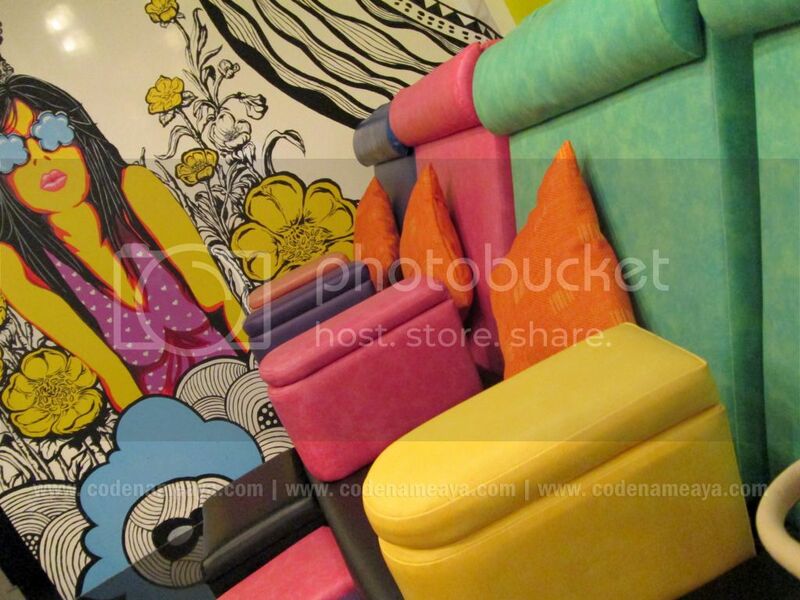 Very nice and fun color combination! Will feature the nail polishes in NOTD posts soon! Disclaimer: Service was provided by the company for free but the views and opinions expressed in this post are purely mine and based on my own experience with it. I'm sooo gonna purchase some soon! The nail combo you chose reminds me of maybelline's baby lips packaging! Soooo cute! Its suits you perfectly! 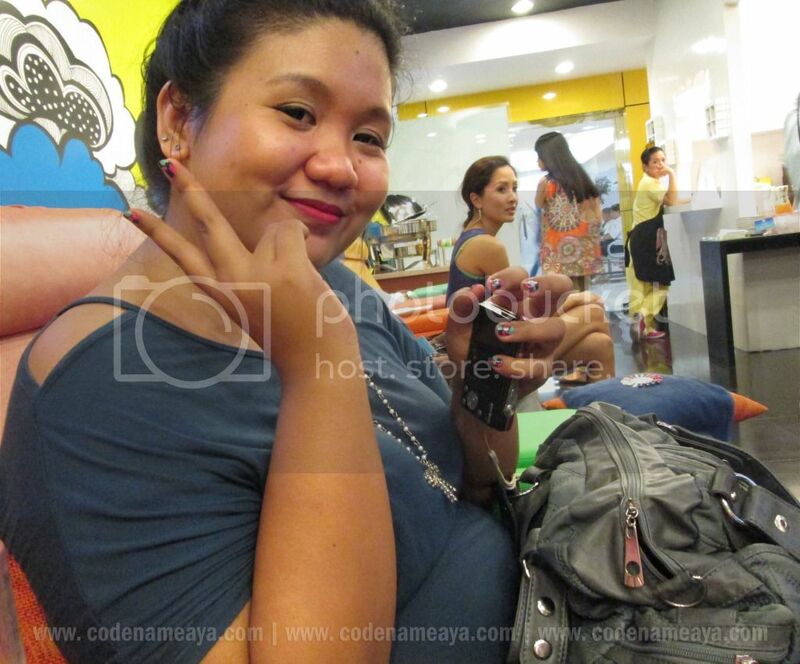 Lovely nails, as always Aya! 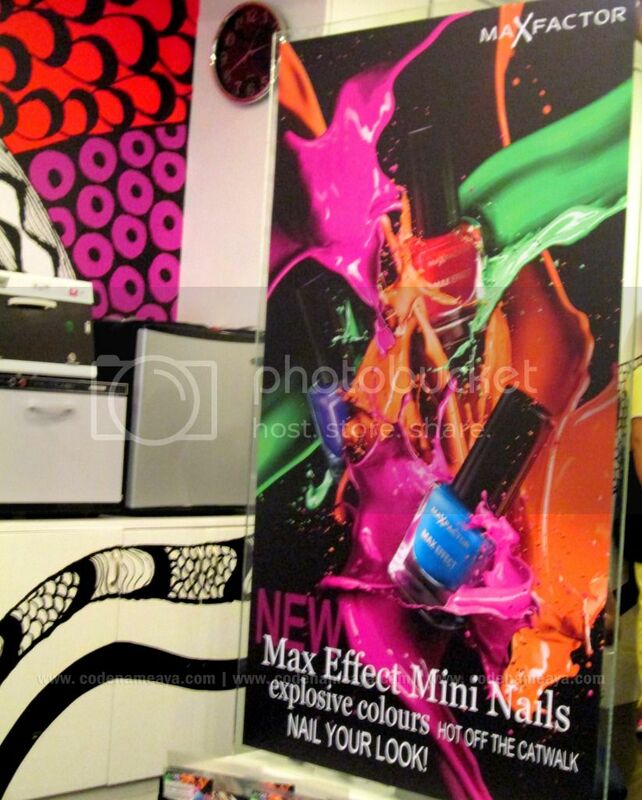 Ooh, I want that nail dryer. Haha! 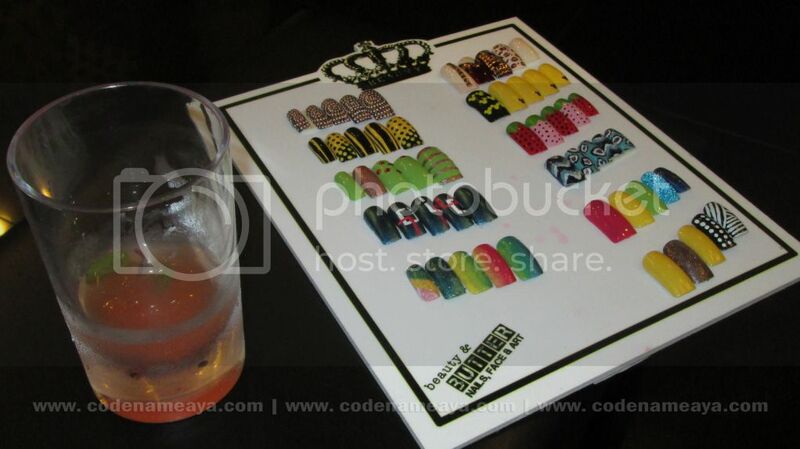 ohmaygawwd that nail art!! <3 soooo pretty!!! I love the pastel colors on the mini nails line :) cute bottle! and affordable price for a very nice packaging! not badd!! I like!